Winner of the prestigious Avery Fisher Career Grant for 2009, Alessio Bax is universally praised for his lyrical playing and insightful interpretations. Since taking first prize at the the Hamamatsu International Piano Competition in Japan at age 19 and the Leeds International Pianoforte Competition in 2000, Bax has won audiences across the globe. Acclaimed by the international press, his performances have been described as “real music-making that makes its own world on stage and invites the audience in as guests” (The Independent), and “successfully combining authority and poetry” (Daily Telegraph). Alessio Bax’s extensive concerto repertoire has led to appearances with over 80 orchestras including the London Philharmonic, Royal Philharmonic, Royal Liverpool Philharmonic, Royal Scottish National, Dallas Symphony, Indianapolis Symphony, Houston Symphony, Rome Symphony, Hungarian Symphony, NHK Symphony, Tokyo Symphony, and New Japan Philharmonic. He has worked with a number of esteemed conductors such as Marin Alsop, Alexander Dimitriev, Jonathan Nott, Vernon Handley, Miguel Harth-Bedoya, Ken-ichiro Kobayashi, Dimitry Sitkovetsky and Sir Simon Rattle. Bax’s festival appearances include London’s International Piano Series (Queen Elizabeth Hall), the Verbier Festival in Switzerland, England’s Aldeburgh and Bath festivals, the Ruhr Klavierfestival, Mecklenburg-Vorpommern, BeethovenFest, and Musikfestspiele Saar in Germany. He has performed in recital at music halls in Rome, Milan, Madrid, Paris, London, Tel Aviv, Tokyo, Seoul, Hong Kong, New York, Washington DC, and Mexico City. Also an active chamber musician, he has collaborated with Joshua Bell, Steven Isserlis, Andrés Diaz and Nobuko Imai, among others. He joins Lincoln Center’s Chamber Music Society Two residency program for outstanding artists for three seasons beginning in 2009-10. His 2004 recording for Warner Classics, Baroque Reflections, received rave reviews and was selected as “Editor’s Choice” by Gramophone magazine. In 2003, Bax and Lucille Chung recorded the complete works for two pianos and piano-for-four-hands of György Ligeti on Dynamic Records. In 2005, they recorded Saint-Saëns’s Carnival of the Animals with conductor Miguel Harth-Bedoya and the Fort Worth Symphony Orchestra. He has recorded the complete works for piano and organ of Marcel Dupré on Naxos, and Brahms Piano Concerto No. 1, live with the New Japan Philharmonic, for Fontec. Also on Fontec, Bax released a live recording of Beethoven’s Piano Concerto No. 3 with the Hamamatsu Symphony Orchestra. 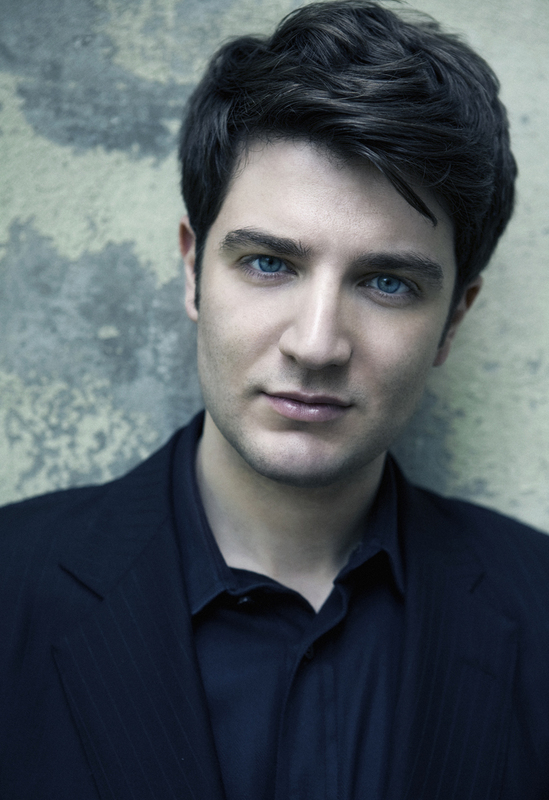 Alessio Bax graduated with top honors at the record age of 14 from the conservatory of his home town, Bari, Italy. He studied in France with François-Joël Thiollier, and attended the Chigiana Academy in Siena under Joaquín Achúcarro. He moved to Dallas in 1994 to continue his studies with Achúcarro at SMU’s Meadows School of the Arts. He is now on the teaching faculty there. He and his wife, pianist Lucille Chung, reside in New York City and are artistic co-directors of the Joaquin Achucarro Foundation.